a. There are basically three requirements for award of the CIB. The Soldier must be an Infantryman satisfactorily performing Infantry duties, must be assigned to an Infantry unit during such time as the unit is engaged in active ground combat, and must actively participate in such ground combat. 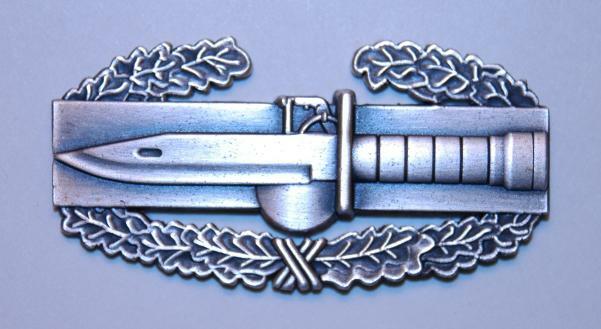 (1) A Soldier must be an Army Infantry or Special Forces officer (SSI 11 or 18) in the grade of Colonel or below, or an Army Enlisted Soldier or Warrant Officer with an Infantry or Special Forces MOS, who subsequent to 6 December 1941 has satisfactorily performed duty while assigned or attached as a member of an Infantry, Ranger or Special Forces unit of brigade, regimental, or smaller size during any period such unit was engaged in active ground combat. Eligibility for Special Forces personnel in Military Occupational Specialties (MOS) 18B, 18E, 18F, and 18Z (less Special Forces Medical Sergeant) accrues from 20 December 1989. Retroactive awards for Special Forces personnel are not authorized prior to 20 December 1989. (2) A recipient must be personally present and under hostile fire while serving in an assigned Infantry or Special Forces primary duty, in a unit actively engaged in ground combat with the enemy. The unit in question can be of any size smaller than brigade. (3) Personnel with other than an Infantry or Special Forces MOS are not eligible, regardless of the circumstances. The Infantry or Special Forces SSI or MOS does not necessarily have to be the Soldier’s primary specialty, as long as the Soldier has been properly trained in infantry or special forces tactics, possesses the appropriate skill code, and is serving in that specialty when engaged in active ground combat as described above. Commanders are not authorized to make any exceptions to this policy. (1) Intent. The requirements for award of the CAB are Branch and MOS immaterial. Assignment to a Combat Arms unit or a unit organized to conduct close or offensive combat operations, or performing offensive combat operations is not required to qualify for the CAB. However, it is not intended to award all Soldiers who serve in a combat zone or imminent danger area. (c) Soldier must be personally present and actively engaging or beingengaged by the enemy, and performing satisfactorily in accordance with the prescribed rules of engagement. (3) Other Services and foreign soldiers. 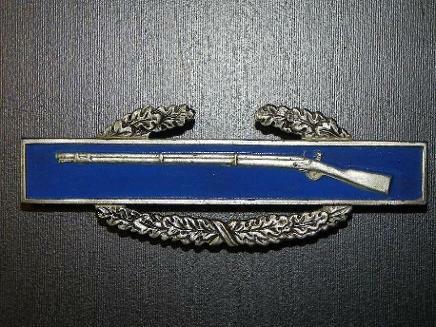 May be awarded to members from the other U.S. Armed Forces and foreign soldiers assigned to a U.S. Army unit, provided they meet the above criteria (that is, KATUSAs in 2d ID). 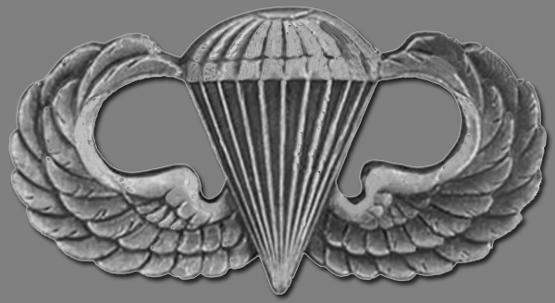 PARACHUTIST: Awarded to any individual who has satisfactorily completed the prescribed proficiency tests while assigned or attached to an airborne unit or the Airborne Department of the Infantry School; or participated in at least one combat parachute jump. 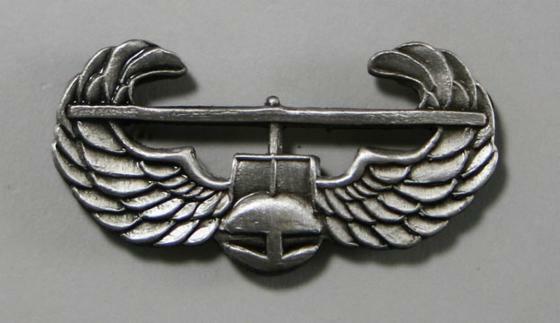 AWARD ELIGIBILITY: Awarded by commanders of divisions and separate brigades to individuals who satisfactorily complete an air assault training course in accordance with the U.S. Army Training and Doctrine Command’s Standardized Air Assault Core program of instruction. Also authorized for any individual who has satisfactorily completed the Standard Air Assault Course when assigned or attached to the 101st Airborne Division (Air Assault) since 1 April 1974.